Congratulations on the new baby! Labor and birth are over, and you’re settling in with your new little one. Things are going great; he took to nursing at your breast like a pro and has the sweetest temperament. You can’t quite figure out just who he looks like, but his skin looks… yellow! Wait, yellow? A nurse comes in with a strange-looking machine—like something straight out of Star Wars. She holds it to his forehead and a few beeps and clicks later the verdict is in: Your baby has jaundice. But what exactly does that mean? Jaundice is seen as a yellowing of the eyes and skin. It’s caused by a buildup of bilirubin, which is a normal result of the breakdown of red blood cells. Red blood cells are created and destroyed in our bodies every day. While baby was in your belly, your placenta carried away bilirubin for baby. As we grow, we produce enzymes in our liver that help rid our bodies of bilirubin, mainly through stool. However, it takes a few days for your baby’s system to get that going. The immediate side effect is a short-term condition known as hyperbilirubinemia–or too much bilirubin in the bloodstream. Hyperbilirubinemia (pronounced hyper-billy-rūhbah-nee-mee-ah) is typically a harmless and common condition called jaundice in babies. Each year, slightly more than 50%-60% of babies born at term, and most (80%) of preterm babies become jaundiced. This usually happens by the 2nd or 3rd day in babies born at term, and by the 9th day in preterm babies. This is why every baby gets his or her bilirubin levels checked by either via a screening meter that scans baby’s skin or by a blood test from a heel stick before they go home. Who’s at risk for jaundice? Boys are more prone to jaundice than girls. Race also plays a role: Asian babies are more likely to develop jaundice, followed by Native American, Caucasians, and African American babies. If mom has type O or negative type blood, baby is more likely to develop jaundice. This is because cells from mom’s body may cross over into baby’s body, causing an increase in red blood cell destruction, which increases bilirubin in baby’s blood. Babies whose mothers have diabetes are also at risk because they may have extra red blood cells. Jaundice is also more common in breastfed babies—but contrary to what you might think, there’s no need to stop breastfeeding if your baby has jaundice. There are two ways that breastfeeding affects bilirubin. First, your baby may be slightly dehydrated so bilirubin gets more concentrated in baby’s blood. To solve this problem, nurse your baby more frequently. In rare cases, your healthcare provider may want baby to receive IV fluids. Secondly, a few babies are affected by breastmilk jaundice, which is thought to result from substances in the breastmilk preventing liver enzymes from effectively packaging and removing bilirubin. 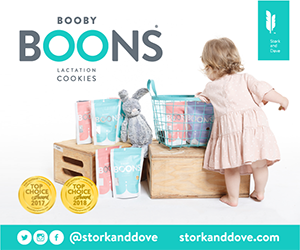 This occurs in up to 5% of breastfed infants and is a flag for healthcare providers to closely watch any future siblings for the same. Other things can cause jaundice in newborns, including problems that create more bilirubin—such as bruising or bleeding that destroys more red blood cells. There are also problems with the liver or intestines that can interfere with picking up bilirubin and packaging it for removal out of the body. Infections, inherited blood disorders and biochemical and metabolic diseases can also increase bilirubin in infants; however, these last few occurrences are rare. Jaundice is typically harmless. In rare cases, it can lead to bilirubin encephalopathy, also called kernicterus. This form of severe hyperbilirubinemia is a rare neurological condition that happens when bilirubin levels get too high, and move out of the blood and into baby’s brain tissue, causing irreversible brain damage. Approximately half of babies who suffer kernicterus don’t survive; those who do have lifelong issues with hearing, speech and movement. Other rare but serious side effects of too much bilirubin in baby’s bloodstream include cerebral palsy and deafness. Healthcare providers take jaundice very seriously and treat it at levels well below the amount of bilirubin that causes these serious neurological problems. Before your baby leaves the hospital or birthing center, his or her bilirubin level may be checked several times, as needed, to determine how fast the level is rising in baby’s blood. If your provider asks you to bring baby back after going home to have baby’s bilirubin level rechecked, it’s absolutely critical to do so. Jaundice can make babies sleepier and feed less yet keeping baby well fed and hydrated is a large part of the treatment for jaundice. 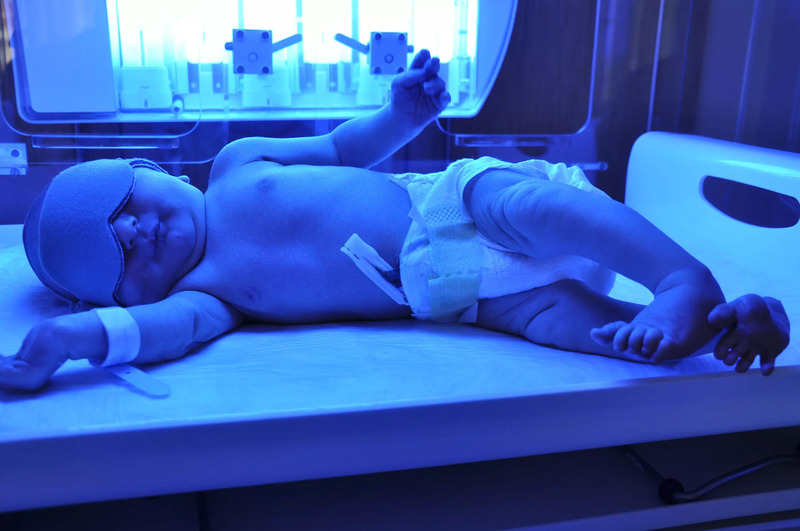 Other than increased breastfeeding, the most common treatment for jaundice is via blue phototherapy lights, which helps baby’s body break down and eliminate bilirubin in the skin. With phototherapy, your baby may be dressed in only a diaper to expose as much of his or her skin as possible to the blue light. Eyes are covered for comfort and safety. Most babies who require phototherapy only need it for a few days; it’s usually done in the hospital but may be offered to you at home. With phototherapy treatment, it’s a good idea track the number of wet diapers and stools each day. Your baby may experience more frequent or watery stools, and it’s important to keep baby’s sensitive skin clean and dry. Diaper changes can be done while the lights remain on. Continue breastfeeding; however, be mindful of and limit time spent apart from light therapy to keep bilirubin levels from rising again. Follow your healthcare professionals’ recommendations regarding for how long baby should receive light therapy, and keep all appointments for rechecks and testing that may be needed. If excessive jaundice occurs from maternal antibodies that have crossed into the baby’s system, a protein called an immunoglobulin (IVIG) can be given to baby intravenously to decrease the levels of these maternal antibodies. In rare instances when jaundice isn’t responding to other treatments, a baby may need to have a transfusion where part of his blood volume is exchanged with fresh blood to quickly lower the bilirubin level. These specialized treatments happen in a neonatal intensive care unit. Every newborn experiences some level of jaundice, and rising bilirubin and jaundice are part of an infant’s natural transition from the womb into the world. Any time you think your baby is “looking yellow” or something seems a little off, ask to have baby’s bilirubin level tested. Don’t be afraid to ask questions, and know that the nurses caring for you will support you and your baby every step of the way.